I worry about the foods that enter my mouth, especially when I don’t know how they were prepared. One thing I don’t have to fear, however, is antibiotics in my meat. An ad from PEW Charitable Trusts was recently distributed at Neodesha school district in southeast Kansas. 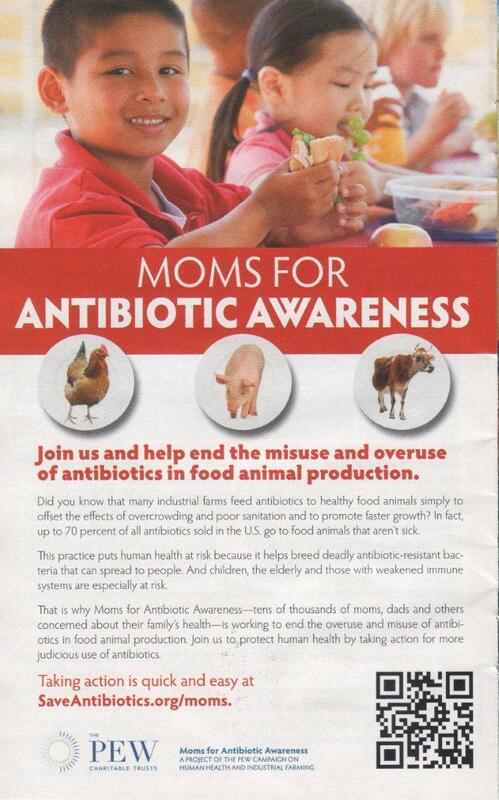 The heading of the handout (pictured on left) reads “Moms for Antibiotic Awareness” and calls moms and dads to “help end the misuse and overuse of antibiotics in food animal production”. Like, Teresa in the video below, farmers and ranchers in your community take the judicious use of antibiotics very seriously. Think about it, the food you are putting on your table is the same food that they are putting on theirs. As caretakers, farmers and ranchers are proud to feed your family. Healthy animals provide healthy food. When your child is ill, you take them to the doctor and if the doctor recommends an antibiotic, you take the prescription and head for the pharmacy. It’s no different when there is a sick animal. For more than 50 years, veterinarians and producers have administered antibiotics to food animals, primarily poultry, swine and cattle, mostly to fight or prevent disease. Antibiotics are given strategically – administered when animals are sick, susceptible or exposed to illness. This reduces the risk of unhealthy animals entering our food supply, according to Food and Drug Administration’s (FDA) Center for Veterinary Medicine. Protecting healthy animals helps to protect human health. Many are unaware that we live in a microbial world where bacteria can transfer between animals and people with some causing disease in humans or animals or both. The meat aisle at my local grocery store. Should you be worried about antibiotics in the meat you buy for your family? 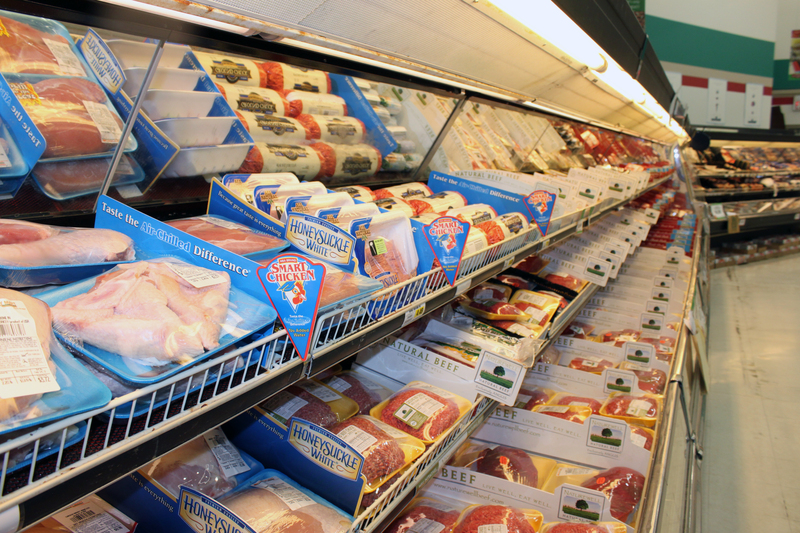 The FDA does not allow meat to be sold with traces of antibiotics above strict safety limits. The U.S. Food Safety and Inspection Service (FSIS) performs scheduled, but random, testing of meat nationwide. According to FDA and FSIS regulations, livestock antibiotic use requires specific withdrawal times, or a set number of days that must pass between the last antibiotic treatment and the animal entering the food supply. 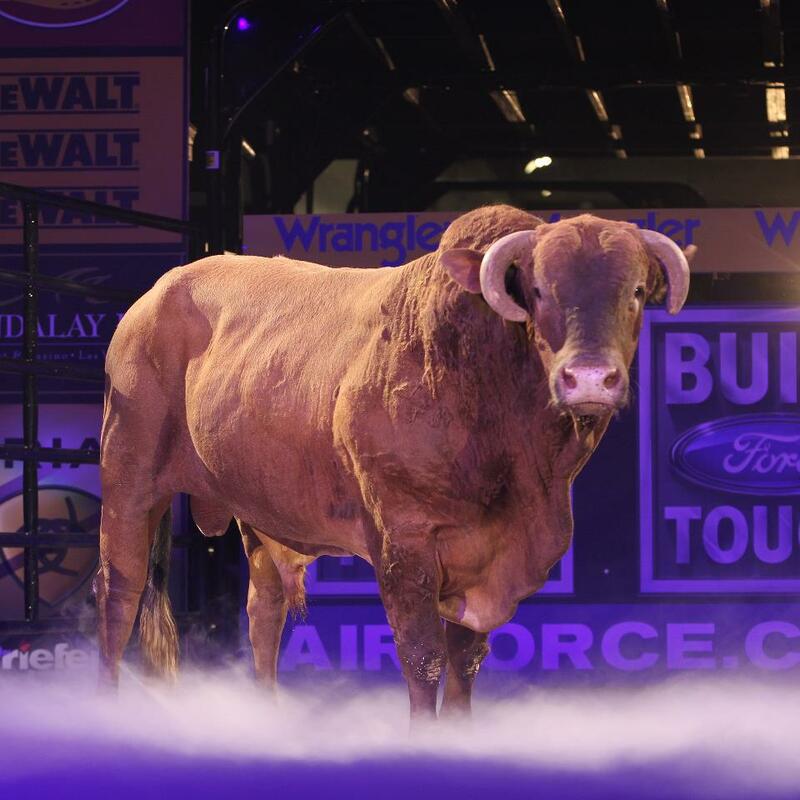 This ensures the drugs have sufficiently cleared an animal’s system. According to the American Veterinary Medical Association (AVMA), U.S. farmers and ranchers must maintain good animal care, which includes making sure animals are healthy; comfortable; well nourished; safe; able to express the natural behaviors of their species; and not experiencing pain, fear and distress. According to AVMA, banning or severely restricting the use of antimicrobials in animals would negatively impact a veterinarian’s ability to protect animal health and prevent suffering from disease, which can lead to poor care. In the following video, family farmer and mom, Heidi Vittetoe invites you to uncover antibiotic use on her pork farm. Is human health impacted by eating meat from animals given antibiotics? “The judicious use of all drugs in animals, particularly food-producing animals, is very important. The use of medicated feeds in food-producing animals is evaluated and regulated to prevent harmful effects on both animal and human health,” said Steven D. Vaughn, D.V.M., director of the Office of New Animal Drug Evaluation in FDA’s Center for Veterinary Medicine. Looking for more information on antibiotics from farmers? Ask your neighboring farms and ranches or visit http://findourcommonground.com/food-facts/antibiotics/. Kansas Corn and Grain Sorghum communications specialist, DeEtta Bohling recently returned from Northeast China as a delegate on the U.S. Grains Council’s Corn Tour. 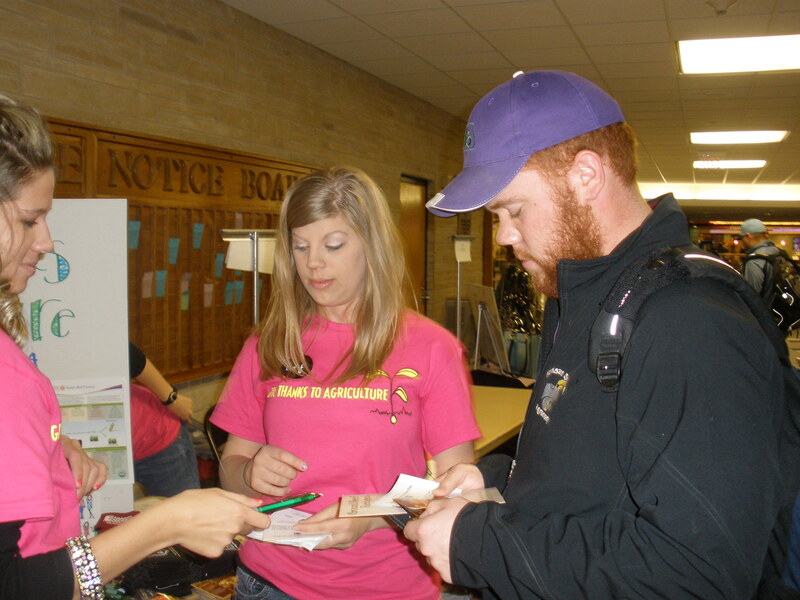 Through Twitter, she met Meghan Blythe who also just returned from China as a part of Kansas State’s Animal Science program. 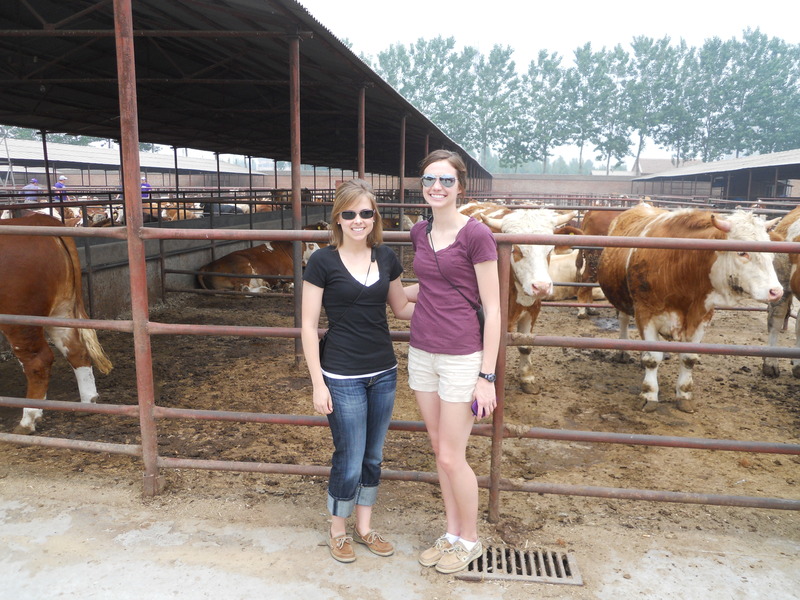 DeEtta got Meghan’s take on the experience and the lessons she learned agriculture in China. DB: Meghan, tell me a little about yourself. Agriculture has always been an important part of your life, I assume it will also play a role in your future career? 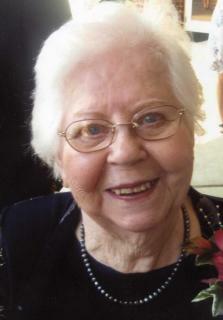 MB: I grew up on an Angus Cattle Ranch in White City, Kan. Wanting to stay involved in the agriculture industry, I came to Kansas State University to major in Agriculture Economics. With this degree I hope to be a source of objective facts for the agriculture industry and government in the future. DB: I was introduced to you by your mom on Twitter (@DebbieLB) and was interested in your trip to China, as I recently returned from China as well. You went on behalf of the Animal Science department at K-State University, correct? 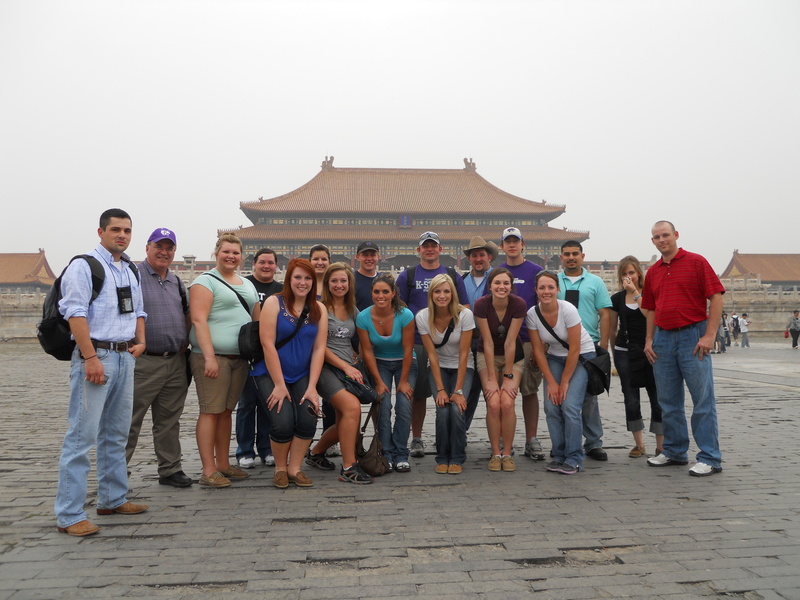 MB: Yes, I embarked on this trip to China along with 15 other students and 2 professors through the Animal Science department at K-State. We spent 12 days abroad visiting Chinese farms and agriculture firms in addition to touring the country. DB: How does animal agriculture differ in China compared to the United States? MB: After visiting many Chinese farms, I realized that the American definition of a “farm” was vastly different than the Chinese definition. A farm by U.S. standards is organized, large-scale, and uses production methods based on sound science and efficiency, but the Chinese farms are small-scale, with methods rooted in history and tradition. This mindset took some adjustment. The first beef cattle farm we visited was described as large; however, this feedlot held a total of 1,000 head. DB: The United States has very strict regulations when it comes to food production. 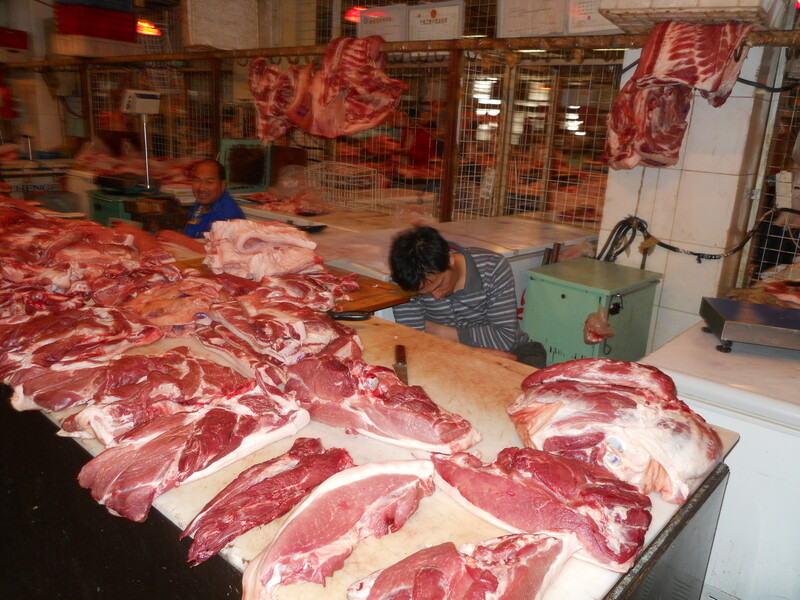 What safety concerns does China have when it comes to food and what precautions do they take? MB: The largest shock I got was not from the food or the vast crowds or the pollution, it was the wholesale meat market. The market conditions can only be described in one way… unsanitary. The building that housed the meat market was room temperature, on the verge of being hot, and in the short 5 minutes that I was there I saw vendors sleeping on the meat counters and picking up meat that had fallen in the aisles. Seeing the meat market conditions made me appreciate the safe food supply established in America. 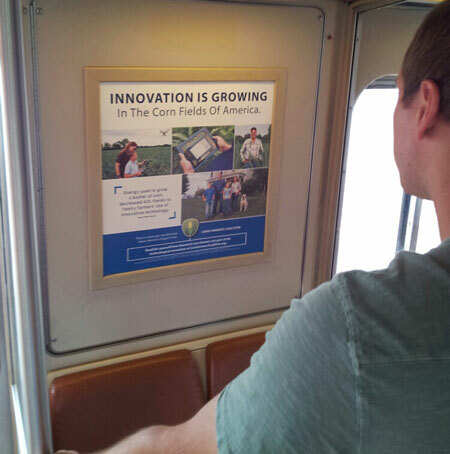 DB: Did you tour any crop fields or have an opportunity to speak to the farmers and ranchers? MB: While our tour was mainly animal agriculture focuses, we did tour some vegetable patches and greenhouses and drove past many crop fields. In an agriculture museum in Xian (central China), I recognized an old, wooden plow on display. It was a plow designed to be pulled behind oxen like that which I had seen in history books depicting farming methods of the 1800’s. The plaque next to this plow stated that this tool was used in China only 50 years ago in the 1960’s! DB: In speaking with a hog producer in NE China, he mentioned that hog prices were historically high and that high corn prices were affecting profits. He also said there were concerns for a new foot and mouth disease variants. Did you hear of this in the areas you visited? MB: In the beef cattle feedlots we visited near Jinan (east central China) the concern of foot and mouth disease was mentioned, but we didn’t really encounter any other incidents. DB: What do you think the future of agriculture looks like for China? MB: My first exposure to Chinese agriculture was passing a Chinaman herding sheep alongside the freeway just outside Beijing. This encounter exemplifies the dilemma faced by China. As the cities swell with population growth, the traditional agriculture methods will not be able to meet the demand. This strain will present American agriculture with a huge opportunity as China will more than likely rely on the U.S. for food imports. DB: In the United States we have folks such as PETA and the Humane Society of the United States that promote veganism. Are their groups like this in China? MB: When asking the manager of a Chinese feedlot about the reason for using a natural (no hormone, no implant) program, he responded that the Chinese people demanded it. He went on to explain that the Chinese people are becoming more concerned about animal welfare and handling practices. While this concern is being voiced, he made no mention of activist groups similar to PETA and HSUS. And from learning that many Chinese agriculture laborers are employed by the government in order to ensure that federal regulations are upheld, I would infer that activist groups are not tolerated in communist China. 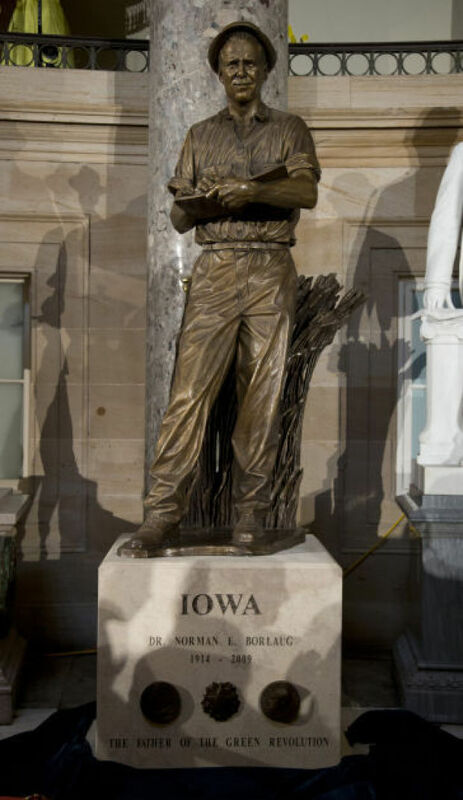 DB: What would you like Kansas farmers and ranchers to know about Chinese agriculture? MB: China is a force to be reckoned with in terms of economics and foreign policy. Their expanding middle class is following the model of the American middle class. They are buying more cars, eating more meat, and moving to the city. Like in America, the number of Chinese agriculture employees has decreased over the past 50 years. One difference remains completely overlooked, and that is that the Chinese agriculture production methods have not evolved (at least not enough) to sustain the growing population. The solution to this challenge will be revealed over time, but I predict it will present a huge opportunity for the American farmers and ranchers. 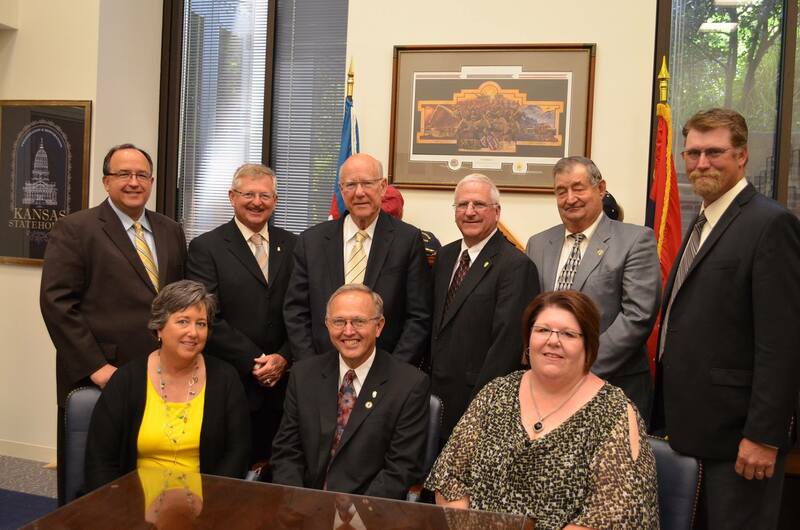 More than ever the world is going to look to Kansas farmers and ranchers for food. DB: Animal agriculture is constantly being blamed by animal rights activists and environmentalist. What one thing would you recommend farmers do to improve this issue? MB: China doesn’t have an issue with special interest groups because the communist government prohibits criticism. In America, activists have the freedom to voice their opinion, and so do you. As farmers and ranchers you have the ability, the right, and the freedom to tell your story to the public and voice your thoughts and views on government regulations. Sometimes it takes a challenge to reveal an opportunity. The challenge of animal rights activists and environmentalist groups has made the consuming public eager for your story. Take advantage of this opportunity. 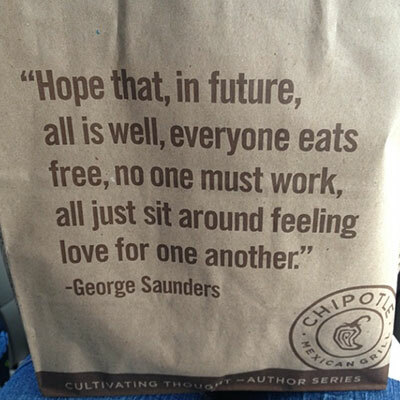 Chipotle’s newest campaign to make a buck once again serves up an attack on farmers with a phony newspaper filled with self-promotion and at least one glaring error. At the risk of repeating a negative, they significantly downplay the role of family farms in an attempt to perpetuate a make-believe distinction between “family farms” and so-called “factory farms.” Their non-sourced stat provides a much lower number than reality; according to the USDA, family farms of different sizes account for 98 percent of farms and 82 percent of production. And it really is nice they offer a column called “Ask Chipotle” but they really should provide contact information so we can send in questions. In the end, this newspaper proves useful – for providing a placemat to soak up all the drippings of their thousand-calorie burritos. Originally posted on Corn Commentary.